CWSC is Proud to announce its youth program for Soccer Players ages 3-7 (born in 2012-2015). Sessions will be run by the CWSC training staff. Interested in playing for CWSC? We are looking for a few new players to complete a couple of teams. BOYS born in 2001 or 2002. Please help us welcome Josh Hess to the CWSC Staﬀ in a more advanced role than just coaching. Josh has accepted the role of Technical Director for Cincinnati West Soccer Club. Josh put together our ﬁrst college information night and developed a new curriculum meant to help our coaches maintain and progress their coaching. He will also assist our DOC with a variety of other projects. Josh is in his sixth season as the women’s soccer coach at Mount St. Joseph University. Be-fore MSJU, he had stops at Division III Capital University and as the head men’s and women’s soccer coach at Pearl River Community College (Poplarville, Mississippi) from 2006-2009. He also has a variety of club and ODP experience. This is his 3rd year with Cincinnati West. He has also worked with TFA, CUSA, Kings and Gulf Coast United Futbol Club, OSYSA, KYSA and MYSA. In 2018 he traveled to Brazil with the Div. III all-star team to compete against a variety of Bra-zilian teams, in 2017 he traveled with his MSJ program to Ireland, Holland and Germany and in 2016 he traveled with a group of players in the KYSA ODP program to the Netherlands to train and compete in cooperation with Feyenoord who compete in the Eredivisie, the top league in the Netherlands. Josh played collegially at Mt. Vernon Nazarene University and at Fredonia State University. He has a bachelor of arts degree in Sports Medicine from Mt. Vernon Nazarene University, and a master’s degree in Accounting from the University of Cincinnati. He holds the following licenses and certificates: USSF B License, NSCAA Premier & Advanced National Diploma, USSF National Youth License, and CPR/First Aid (American Heart Association). Josh and his wife, Sacha, who will be attending PA school beginning summer ‘19, have two daughters, Samara,11, and Haarlow, 6, and they reside in Centerville, Ohio. Josh can be contacted at: josh.hess@msj.edu Welcome aboard Josh! 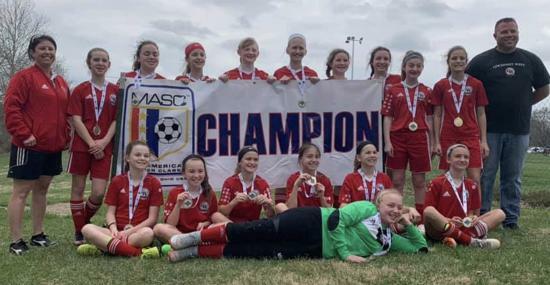 Cincinnati West Soccer Club is one of the fastest growing youth soccer clubs in the area because of our unique and strong focus on being team and family friendly while still meeting the soccer development needs of our players at all skill levels and ages. As you can see from looking around our website, we have over 1000 players learning the game of soccer, learning life lessons from the game and being involved with a team and program, and being better prepared for success as an adult. Our teams compete at all levels of the Cincinnati United Soccer League (CUSL) as well as the Buckeye Premier Youth Soccer League (BPYSL), The Premier League (TPL) and the Ohio South State League. Many of our players find that the varied development and competitive levels offered by CWSC along with our experienced, nationally licensed training staff, including current and former college and high school coaches and players have well-equipped many our play for the “next level”. CWSC players have a strong record of accomplishment at both the high school and college levels. We are proud of every one of our players and teams, and we hope that you decide to join the CWSC family. 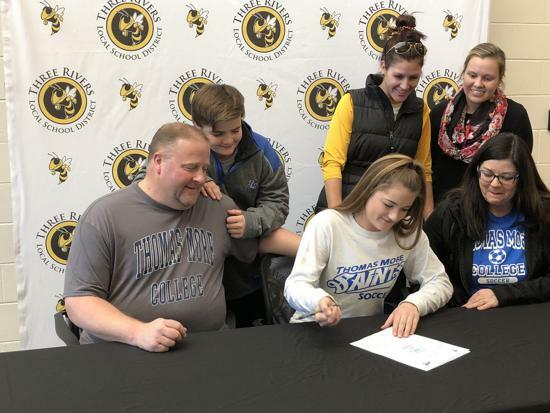 Hannah Kopriwa signed to play soccer with Thomas Moore College for 2018.